Sized specifically for 12" swing lathes, the 12" Mini Coring System is different from it's larger counterparts in that only one knife is necessary because of the smaller size of the blanks being cored. Different sized cores are obtained by simply moving the base . The Easy-Core System helps you get the most from an expensive burl or bowl blank without exhausting yourself in the process. With a bit of instruction even novice turners (an instructional video is included) can easily remove several bowls from one blank. 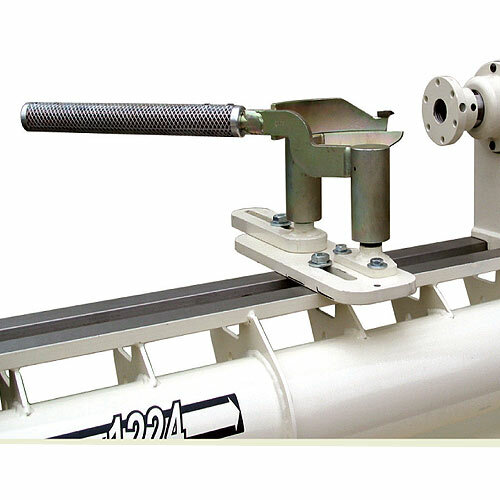 NOTE: A Clamp Block (sold separately) is required to hold the Coring System on the lathe bed. To determine the size of the Clamp Block needed, measure the distance between the bed ways.